DK10 by Andersen Furniture is a series of tables designed by Ditlev Karsten. With legs in different designs and a pull-out table top, the dining table allows to be combined versatile and provides space for several people for dining and chatting. The table top is oval shaped and can be pulled out freely with up to three leaves (not included). This way, the dining table allows to be extended in 50 cm steps to up to 1.5 meters. 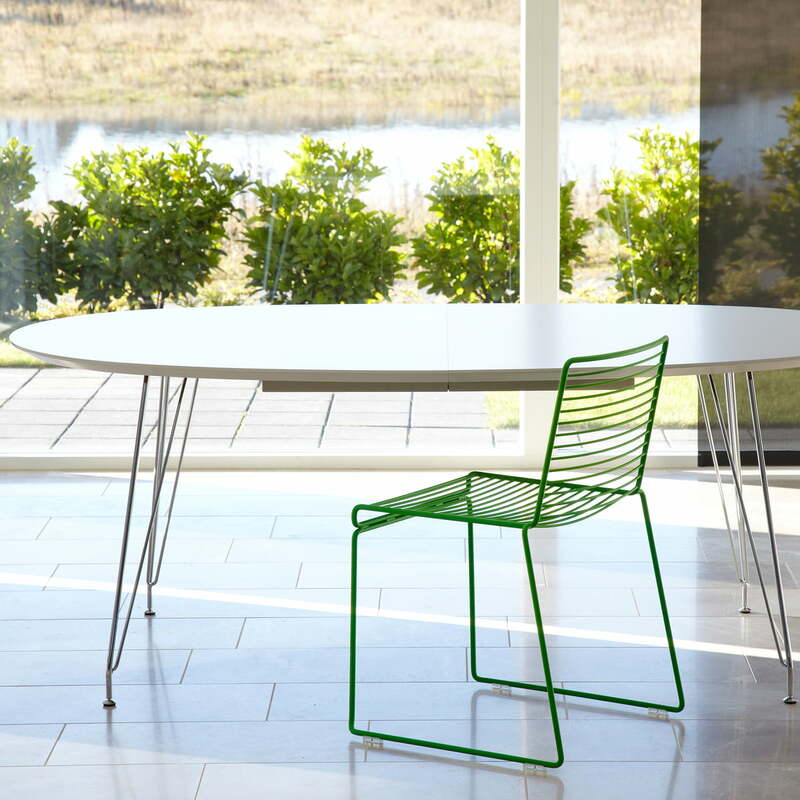 The DK10 tables are available in further variants on request. 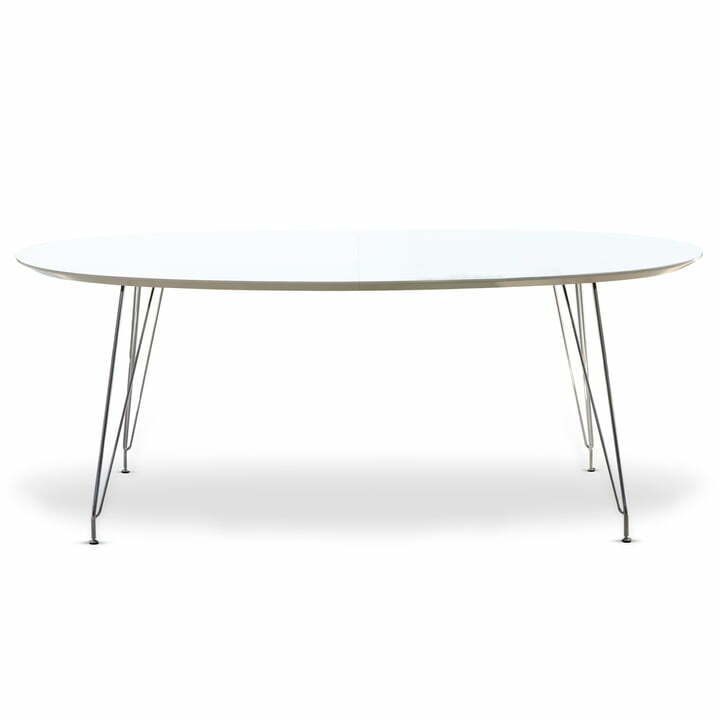 Individual image of the oval DK10 dining table by Andersen Furniture. The table top consists of white laminate and the frame is made of chrome-plated stainless steel. 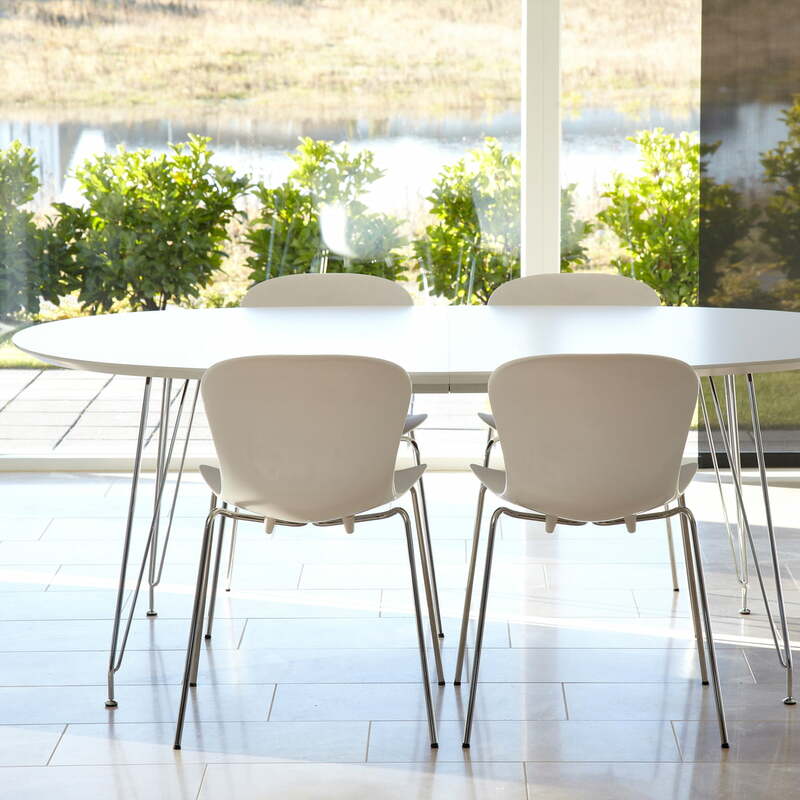 The stainless steel frame of the DK10 Dining Table by Andersen Furniture was significantly influenced by the classic Eames Plastic Side Chair DSR with stainless steel legs by Vitra. 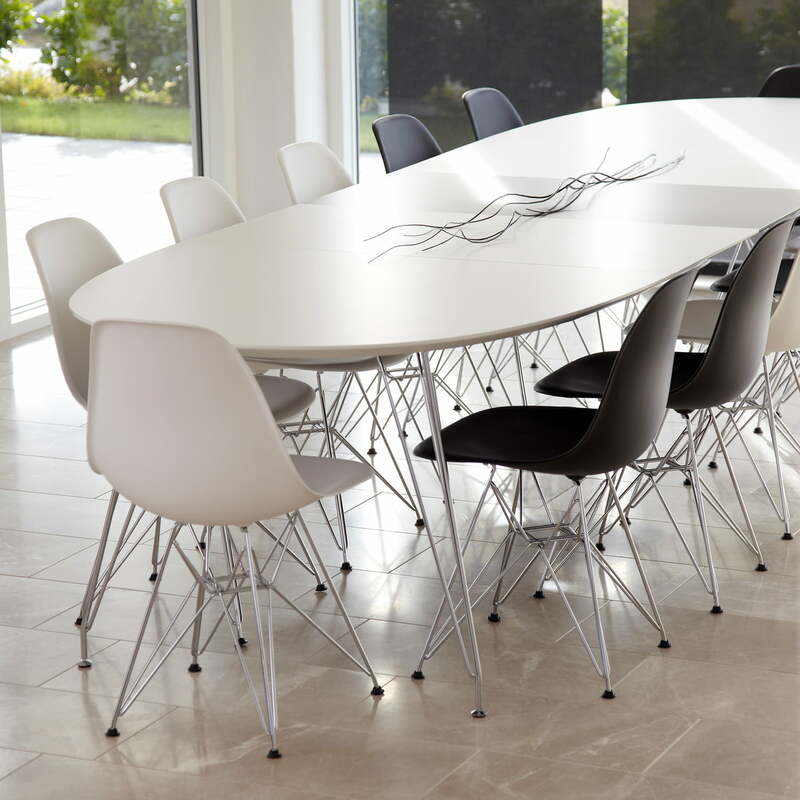 The DK10 dining table by Andersen Furniture with its frame made of stainless steel and the white laminate top makes for an interesting combination with the Hee chair by Hay. DK10 by Andersen Furniture is a series of tables designed by Ditlev Karsten. The series includes dining tables and table tops in different shapes and sizes and table legs with an elegant steel construction. 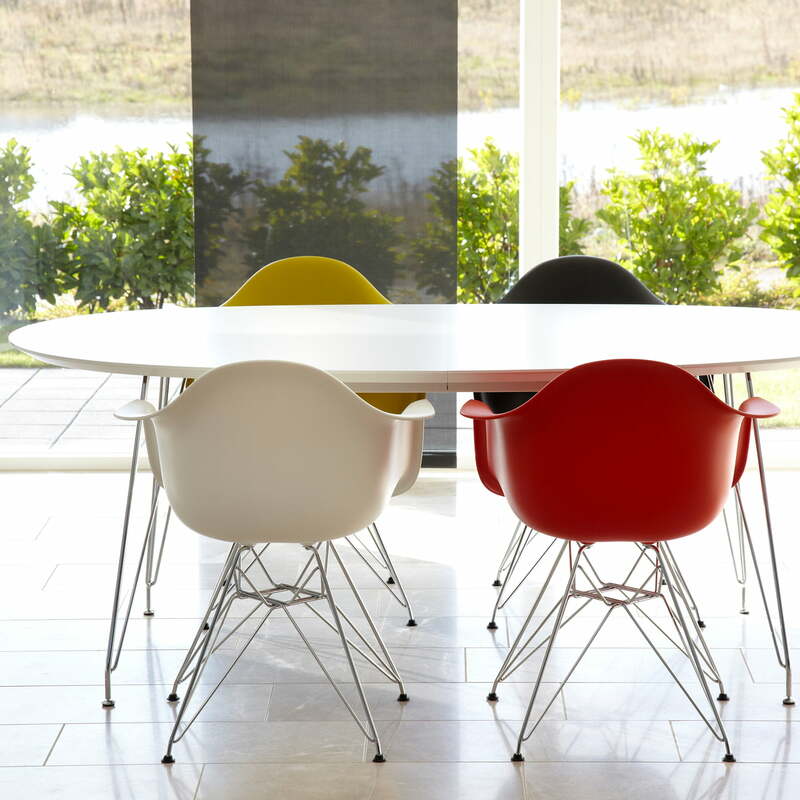 The Eames Plastic Armchair DAR by Vitra in its various colours fits perfectly with the DK10 dining table by Andersen Furniture with stainless steel frame. 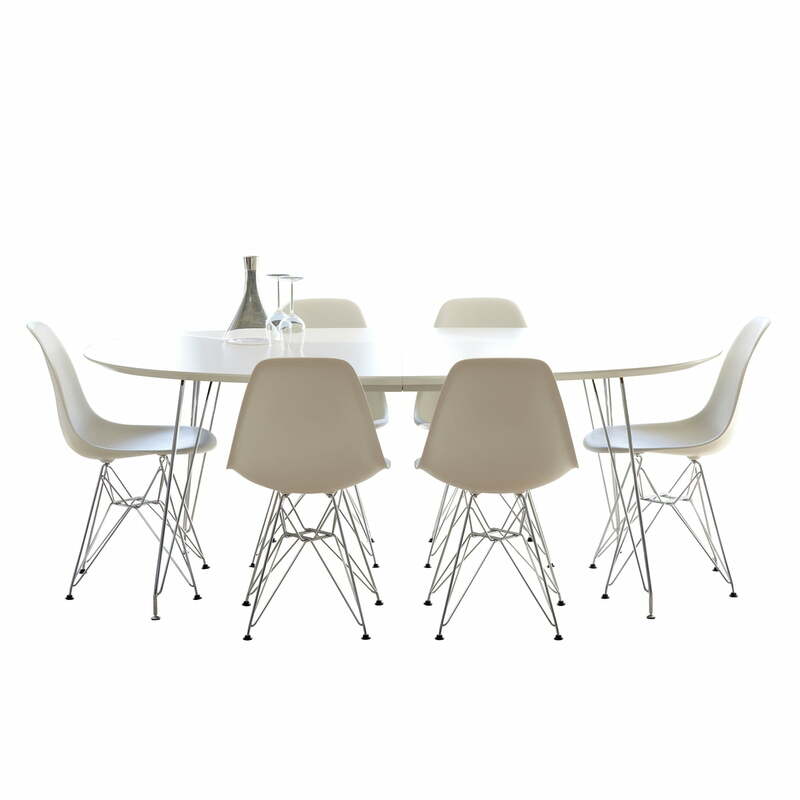 The DK10 dining table with white laminate top and stainless steel frame wins over with its design just like the Eames Plastic Side Chair DSR chairs by Vitra. Close-up view of the DK10 dining table by Andersen Furniture. The table top is available in oval or boat-shaped made of laminate in white and oak oiled or soaped. 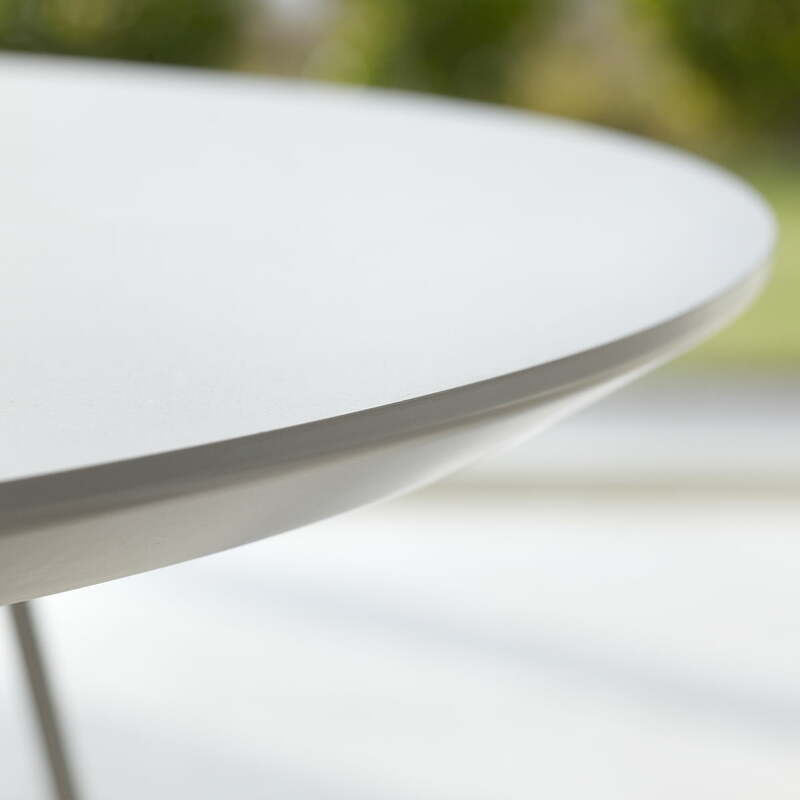 Close-up view of the DK10 dining table by Andersen Furniture. The table is available as an oval or boat-shaped extending table with steel pull-out for three leaves.